Amazon claims that the patented built-in light in the device evenly illuminates the screen to provide the perfect reading experience in all lighting conditions. Well, that's not entirely true. Images posted by actual customers seem to indicate that there appears to be color blotches all over the Paperwhite screen. Patches of various shades of red, green and blue are seen on the screen above. 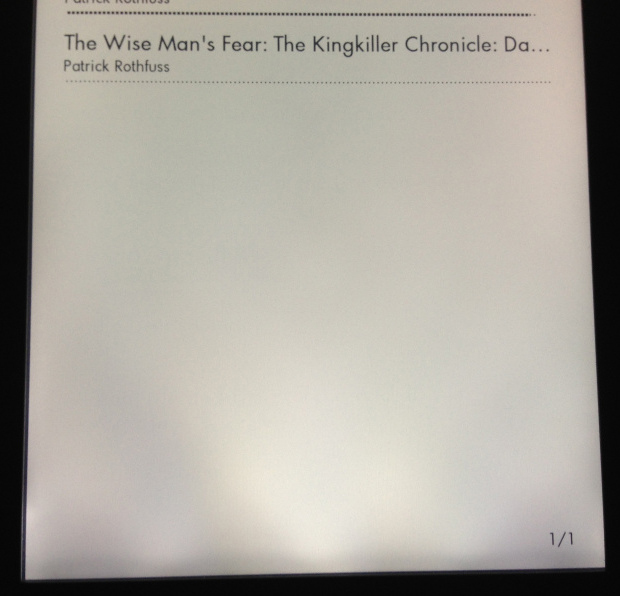 Patches of blazing white light are seen near the bottom of the latest Kindle's display (above). By the way, if you haven't ordered it yet, order it as a gift even if it's for you. Amazon will ship the Paperwhite in an additional stronger box with air packets for additional protection. This would ensure you get your Paperwhite without its screen getting affected by other larger and heavier packages hitting it while in transit. If you don't buy it as a gift, they will send it to you in its original packaging, with no additional protection. Hard reset the Paperwhite, not once, but twice. Some folks have found that this helps clean up the lighting on their device. Never charge the Paperwhite more than half of the battery capacity. LEDs would be a little bit dim, which is seen to even out the light. Follow Amazon's own recommendations (with pictures) on selecting the right amount of light depending on ambient conditions. 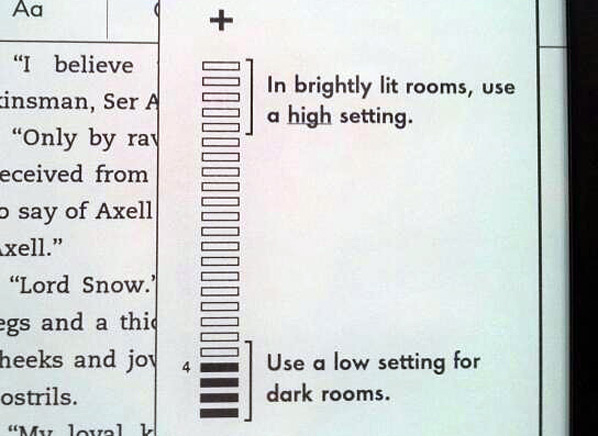 Keep the light at it's lowest setting - basically, turn off the light - and use it like one of the earlier versions of Kindle. The new features of Paperwhite - much better resolution, better contrast, new fonts, longer battery life, Time-to-read feature and new parental controls already make it worth the extra money. If you really need the light, for example, for reading on the bed at night, and if you just cannot tolerate the color blotches, you may contact Amazon for a return and refund and then place a fresh order for another one. Many customers say that if you contact Amazon for a replacement, they may send you a refurbished Paperwhite that might have been returned by another customer after seeing screen issues. Paperwhite has only half the internal memory as earlier Kindle models, only 2GB. Amazon claims that this was done in order to reduce the thickness and weight of Paperwhite. Text-to-speech and MP3 player are not used by most people. 2GB memory is enough to hold 1100 books. In addition, they offer free storage for all of your books in their cloud storage. 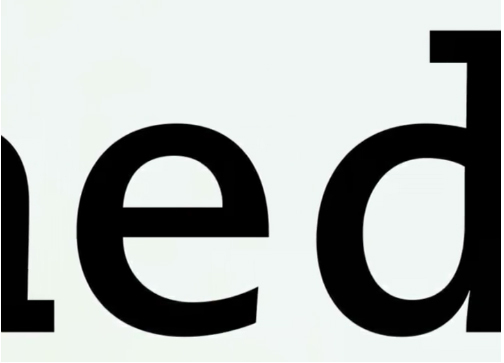 You can see that the text is really crisp and sharp. With the built-in light turned on, glare is eliminated under bright external light - like outdoors or a bright room. These features make the Paperwhite easy to read, so less strain on your eyes. Glare has been an issue with earlier Kindle models, especially in brightly lit conditions. Note the catch - this is for 30min of reading per day. OK, so 8 weeks means 56 days. Half-hour of reading per day means 56 / 2 = 28 hours of reading. Now you see that 8 weeks is actually not a whole lot compared to the other devices. Amazon didn't need to resort to such marketing gimmicks, but hey, 28 hours is still more than twice that of the other products listed in the comparison. Several users have complained that the Wi-Fi connection of Paperwhite is not quite stable. Amazon support seems to advise customers to change their router's setting, reboot their routers etc, but customers are of the opinion that it's most likely a Paperwhite issue, since all other devices in their home network seem to work fine. Now that we have discussed the finer points about the Paperwhite features, let's take a closer look at the single major customer complaint - why does the Paperwhite screen show shades of red, green and blue and what could Amazon do to avoid it. The white LEDs used for lighting the Kindle Paperwhite are most likely phosphor-based since those are relatively cheaper than the RGB-LEDs. These LEDs are made by coating a single-color (like blue) LED with a phosphor coating that can convert the single color to a broader spectrum of colors, which together appear white. The Paperwhite uses a few (around four) of these LEDs and uses a fiber-optic light guide layer. See picture. Basic physics tells us that light traveling through any media gets dispersed into colors, for example, the rainbow that we see in the sky is because sunlight gets dispersed into its colors due to suspended water particles in air after a rain. Since the phosphor-LED has a single-color source, that color would be prominent after the dispersion. If the white LEDs used in the same Paperwhite are based on different single-colors, you would see blotches of those colors - blue, red and green. In order to reduce dispersion, Amazon could use a better material for the light guide layer. But, then it would be more expensive. If white LEDs based on the same single-color are used on a Paperwhite, you would see only one hue, instead of patches of multiple colors, which may still be OK. This would mean Amazon needs to have tight control over the manufacturing process by restricting the use of one LED manufacturer's one part number on a Paperwhite. Such tight control would also add a bit of cost to the product. Another reason for color patches and uneven lighting could be uneven light guide layer, both horizontally and vertically. Again, in order to produce a uniform layer, tighter control would be needed during the manufacturing process of the layer as well as during the assembly of the product. The fact that the product is a touch screen device doesn't help either. The light guide layer should be manufactured and assembled in such a manner that customers pressing on the touch screen do not end up deforming the light guide. It can be done, but again at a cost. The shipping of the product could also result in uneven light distribution layer. If you order the Paperwhite for yourself, Amazon ships it as is. Although it's packed quite well, it's possible that the small Paperwhite package could get pounded by much bigger packages that travel along with it, thereby affecting the screen. One final reason for uneven lighting would be uneven brightness of the LEDs themselves. 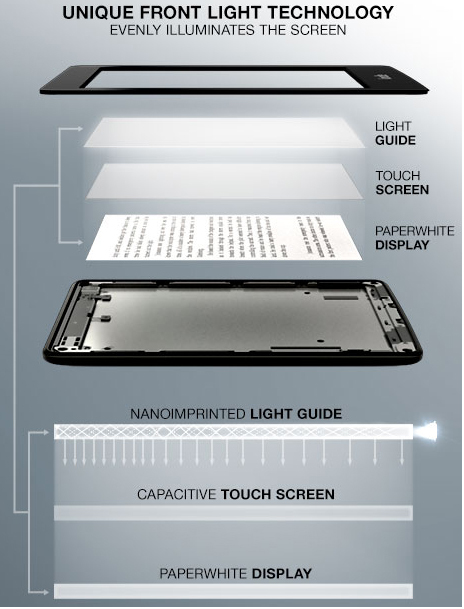 If the four LEDs used on the Paperwhite are of different brightness, the light would be uneven, even if all else is perfect. This is possible because LEDs usually have a wide range of forward voltages, or the minimum voltage needed to turn them on. If the same driver circuit - voltage and resistor - is used to power the four LEDs, the ones with lower forward voltages would glow brighter than the rest. Amazon could get binned LEDs from the manufacturer - that is - batches of LEDs that have nearly the same forward voltages. Another option would be to have a single powerful white LED (or group of LEDs) as light source and then distribute it using a light-pipe into the guide layer. We believe the screen images shown here at the Amazon site are not simulated. 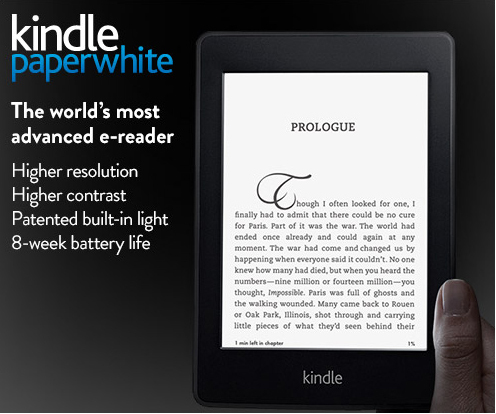 They should be pictures of the actual Kindle Paperwhite. The reason they appear near perfect could be due to the fact that they might be initial prototypes of the device built by the manufacturer, usually a Contract Manufacturer like Foxconn, under much tighter control (since they have to prove their worth), and also because the quantities would be smaller during prototype phase. It's usually when the mass production starts, that things go a bit into disarray. Another reason they look near perfect could be because the light levels might be set per Amazon's own recommendations. A better option would be that the Paperwhite automatically senses ambient light and sets the appropriate base brightness of the built-in light. Customers could still be allowed to override the automatic settings if desired. As we mentioned earlier in this article, Amazon Kindle Paperwhite e-reader is still a good buy at the price, even with minor annoyances with the lighting or Wi-Fi. Once you download a book, why would you need Wi-Fi anyway? You would just sit back, relax and read away... If you have been on the fence after reading about the screen issues, we suggest you should go ahead with the purchase of this advanced version of Kindle, and take a look at our suggestions mentioned above to work around any minor items.